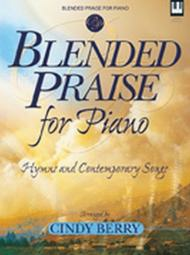 Blended Praise for Piano (Hymns and Contemporary Songs). Composed by Cindy Berry. For piano. Sacred. Medium. Published by Lillenas Publishing Company (LO.9780834171695).